The Company that Gives Back. Why is an Air Duct Test Important? In today’s world, making sure your home is energy efficient is top priority. Since air duct leakage can cost you 20% or more on your energy bill, it’s important to know how to combat the problem. One way to do this is to have a simple test of the ducts in your home to know if you have air duct leakage problems. Using specialized equipment, our technicians can detect leakage, then repair, clean and seal any problems found. Sealing and insulating ducts can help with common comfort problems, such as rooms that are too hot in the summer or too cold in the winter. It also lowers your energy usage. We are all about savings around here! Fumes from household and garden chemicals, insulation particles, and dust all enter your duct system, aggravating asthma and allergy problems. Sealing ducts can help improve indoor air quality by reducing the risk of pollutants entering ducts and circulating through your home. During normal operation, gas appliances such as water heaters, clothes dryers, and furnaces release combustion gases (like carbon monoxide) through their ventilation systems. Leaky duct work in your heating and cooling systems may cause “back drafting,” where these gases are drawn back into the living space, rather than expelled to the outdoors. Sealing leaks can minimize this risk. Same happens for any construction chemicals that are between the walls. Duct Sealing has been proven to be the least costly and most effective form of energy savings for homeowners. It is also greatly underutilized. Leaky ducts can reduce heating and cooling system efficiency by as much as 20 percent. Sealing and insulating ducts increases efficiency, lowers your energy usage, and can often pay for itself in energy savings. Plus, if you’re planning to install new heating and cooling equipment, a well-designed and sealed duct system may allow you to downsize to a smaller, less costly heating and cooling system that will provide better de-humidification. Energy used in our homes often comes from the burning of fossil fuels at power plants, which contributes to smog, acid rain, and climate change. Simply put, the less energy we use in our homes, the less air pollution we generate. By sealing your ducts and reducing the amount of energy necessary to comfortably heat or cool your home, you can reduce the pollutants in your home and help protect the environment by reducing the amount of air pollution generated. Our evaluations are only $45.00. 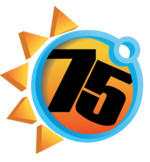 75 Degrees is an air conditioning and heating company serving the Las Vegas, Summerlin, Henderson and North Las Vegas areas in Nevada. Energy efficiency and excellent customer care is our primary focus. Call us or email us to schedule our experts to perform a Duct Test to measure if your home is leaking and if so, how much. Peace of mind is that simple. © 75 Degrees LLC. All rights reserved.